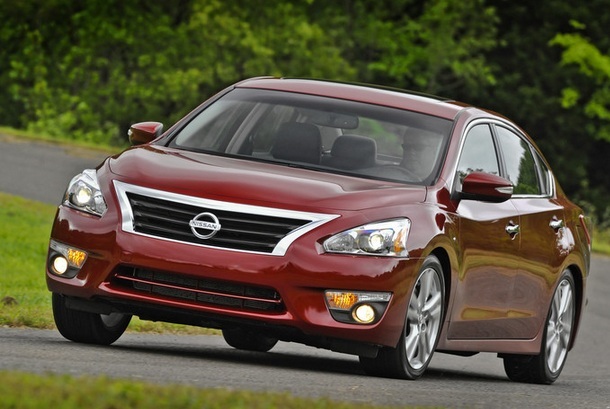 2013 Nissan Altima-New car with amazing fuel economy will soon reach at Nissan dealers. This is great news for the people who were desperately waiting for a brand new Nissan model. 2013 Nissan Altima is powered by 2.5L 4-cylinder engine, its new Xtronic Continuously Variable Transmission plays a key role in listing it among fuel-efficient and high performance vehicles of America. The exterior of this new mid-size Sedan model is extraordinary. High quality styling features has been used in the exterior to make it appealing and stylish. High Performance is further assured by improved aerodynamics. Its headlights work like magic and automatically turn on when windshield wipers are used. 2013 Nissan Altima offers best-in-class comfort and riding pleasure to passengers, updated interior features include NASA-inspired Zero-Gravity Seats, Active Understeer Control, BOSE Premium Audio System and Improved Drive-Assist Display. Improved handling is ensured by multi-link rear suspension. Safest safety features include Blind Spot Warning, Moving Object Detection and Lane Departure Warning ensure the safety of passengers. Starting MSRP of the 2013 Nissan Altima is US$21,500.